Shockingly, more than 30,000 people around the world are displaced from their homes every day as a result of persecution or conflict, and many of those forced to flee end up in refugee camps. You’ve no doubt seen footage of some of these temporary settlements on the news, but it can be hard to grasp what the people in them are really going through. The fact is, no two camps are the same and conditions can vary a lot from one to the next. However, there are certain things that many of the settlements have in common. If you’d like to find out more, keep reading for some insights into the reality of life in a refugee camp. Many refugees have been forced to leave nice homes where they had a comfortable life and they arrive at camps that may offer very little in the way of even basic supplies. They can lack everything from clothing to cooking equipment and hygiene essentials. Water and food is often tightly rationed too. One moving story that highlighted the lack of resources in these camps was told by Muslim aid charity humanappeal.org.uk. In a video posted on its Facebook page that has been watched over a million times, the charity showed a child called Amaar living in the Mafraq refugee camp on Jordan’s border with Syria. The three-year-old had to walk barefoot in thick mud because he’d grown out of the little wellingtons he had been wearing. Fortunately, Human Appeal provided aid to the camp, including new shoes for Amaar and others like him. However, the demand for necessities in these camps often outstrips supply, leaving people in potentially desperate situations. Simply surviving from day to day can become a struggle. 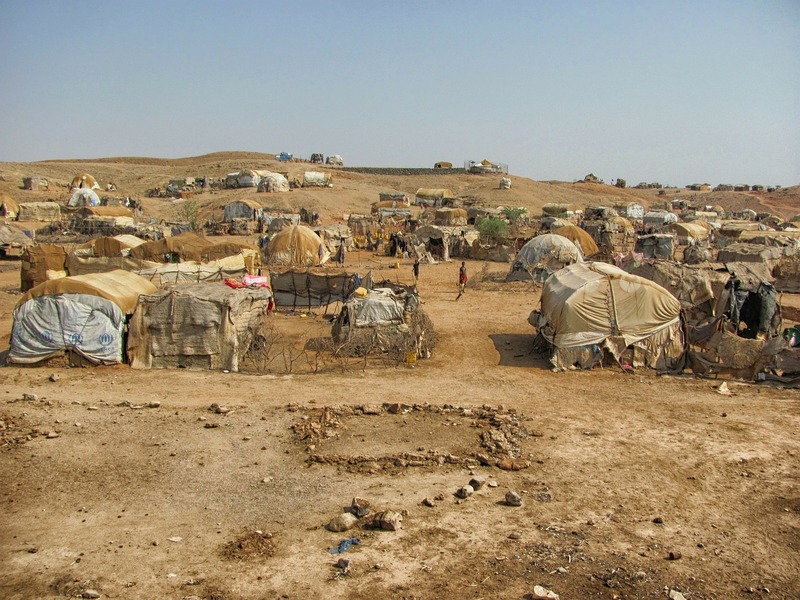 There are a range of health risks that affect people in these camps. For example, the cramped conditions mean infectious diseases spread more quickly. Also, people’s immune systems are often weakened because of poor diet and a lack of proper shelter. Inadequate hygiene systems are a big risk factor too. When people do get sick, they can struggle to get the medical attention they need. Health clinics set up inside the camps are often under-resourced, and it’s common to see big queues outside these centres. Refugee camps can also be crowded and claustrophobic. They often grow much bigger than originally intended and receive far more people than planned. Just one example of this is the camp in al-Rukban along Jordan’s north-east Syrian border. Amnesty figures reported by CNN suggest that the camp had grown from 368 shelters last autumn to 8,295 in September 2016. When settlements become too busy, problems such as supply shortages and disease outbreaks can get worse, making life even more difficult for those staying there. Despite all of this hardship and suffering, refugee camps can also be places of hope. You often don’t have to look far to see tales of courage and strength. One woman who exemplifies this is Ardo Djibo Fadimatou. The 64-year-old, who is living in the Gado refugee camp in Cameroon, lost eight of her 15 children during the conflict in the Central African Republic and she doesn’t know where her husband is. Determined not to give up, she has been elected women’s president of the camp and she leads meetings in its UN Women's Social Cohesion Space. photography, and the images captured show how people are doing their best to carry on with life despite their difficulties. They show everything from kids playing to a young couple getting married. While life goes on for some in refugee camps, it's important to remember that for others, it doesn't. There are many charities trying to put an end to suffering in these camps. To help them, you could give a donation or sign up as a volunteer. Your support could save a life.